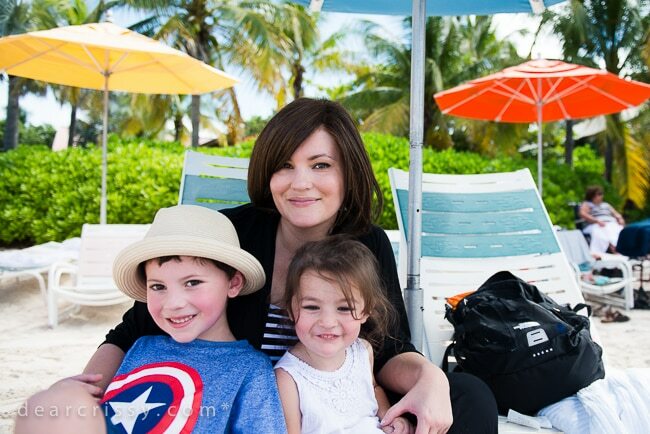 A big warm hug around the neck to Disney Cruise Line for hosting my family on this incredible trip. We thank you for the memories! I’ve thought deeply on how I would tackle this post about the best vacation of my life. It’s a tall order, and while I know I can’t possibly share every detail or fully articulate each burst of joy that I experienced with my family on our Disney Cruise, by golly, I’m going to give it my best effort. 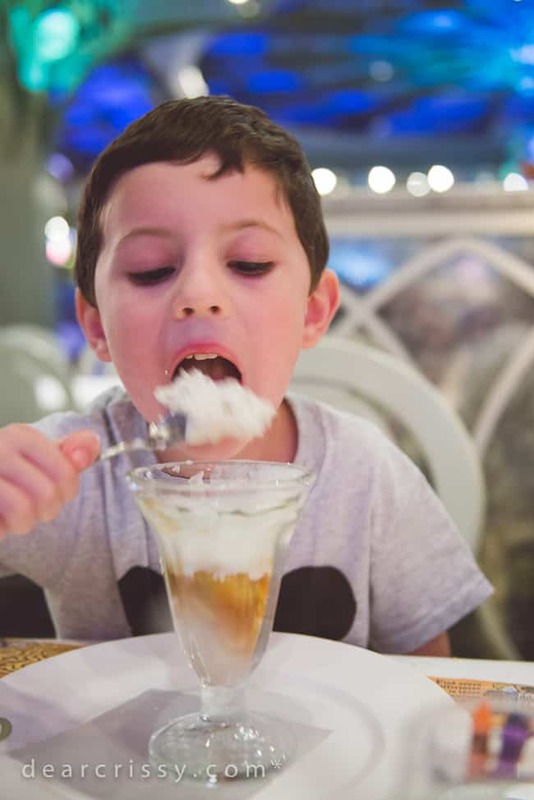 Our 3-night Disney Cruise on the gorgeous Disney Dream to the Bahamas (Nassau + Castaway Cay) was out-of-this-world CRAZY-INCREDIBLE with Mickey ears, three cherries, whipped cream and a magical sprinkling of pixie dust on top. Boom. 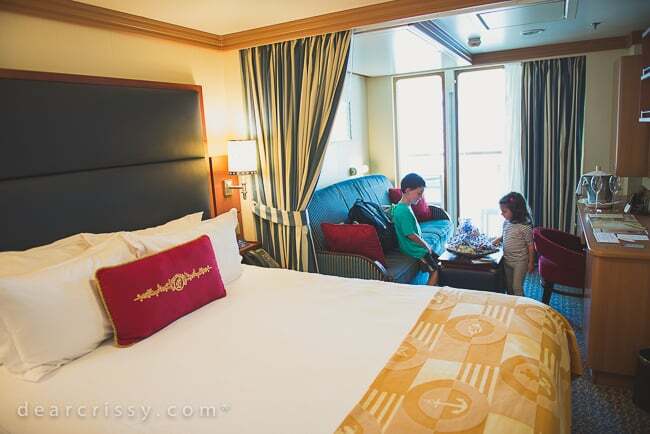 Our Disney Dream experience really began when we entered our beautiful stateroom. The kids promptly gravitated to the cheese and fruit basket that was provided in our room. It’s funny, I’ve never seen them go wild over cheese and fruit at home, but, this was after all magical Disney cheese and fruit that was just WAITING FOR THEM! Evan and Kara both soon learned that there would be a special treat waiting for them in our stateroom almost every time we entered the door. They were definitely impressed! Having never been on a cruise before, I wasn’t sure what the room would be like. I’ll tell you, everything was fresh and clean, from the floors, to the bedding, to the bathrooms. It was a beautiful room with plenty of space for everyone to relax, and with a pull-out sofa and pull down bunk, in addition to the queen size bed, everyone had lots of room at night, too. The closets were spacious and there was plenty of room under the bed for storage. I also loved the split bathroom, it allowed one person to shower without tying up the toilet. If you have kids like mine who need to use the potty every 32 seconds, you know how convenient that is! After we settled in, we began exploring the Disney Dream. It takes just a bit of meandering to begin understanding where your room is oriented on the ship and how to best find the areas you want to visit. It’s true that the ship is enormous, but, you’d be surprised how quickly you learn your way around. It’s really fun feeling like you have such a large area to live and play while you’re on your vacation! The Disney fleet is small but mighty and includes the Dream (on which I sailed), as well as the Fantasy, Magic and Wonder. 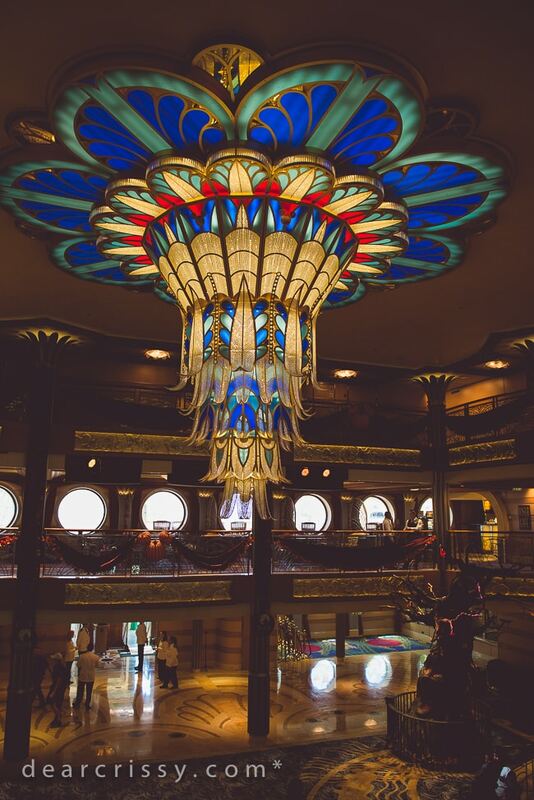 The Disney Dream’s design blends classic with modern, and features some truly breathtaking Art Deco design elements including this amazing chandelier in the atrium. It is adorned with more than 80,000 Swarovski crystals! 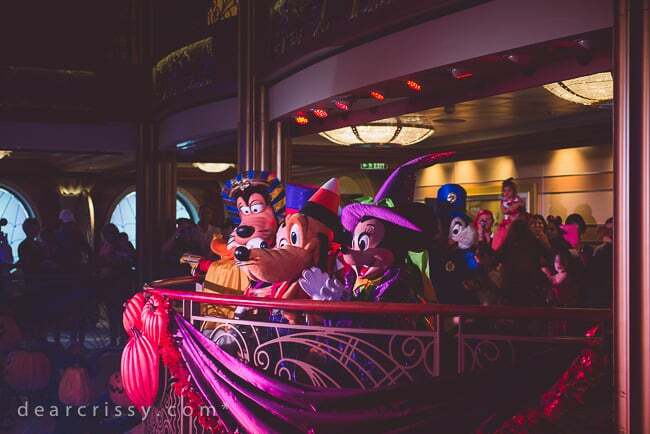 What made my sailing on the Disney Dream even more special were the Halloween elements. I sailed during their Halloween on the High Seas promotion, which runs from early September through Halloween. I have to admit, I used to simply think “summer” when I considered a cruise, but, Disney offers all the wonder and warmth of the holiday season on their fall and winter sailings, which just makes the experience more special. After learning more about their Very MerryTime Cruises, I’ve been craving a Christmastime cruise! How fun would it be to celebrate the holidays with your family on a Disney Cruise? This big spooky tree grinned at us in the atrium lobby, and the kids were able to gather in this area at night to listen to a spooky caretaker share Halloween stories and traditions. 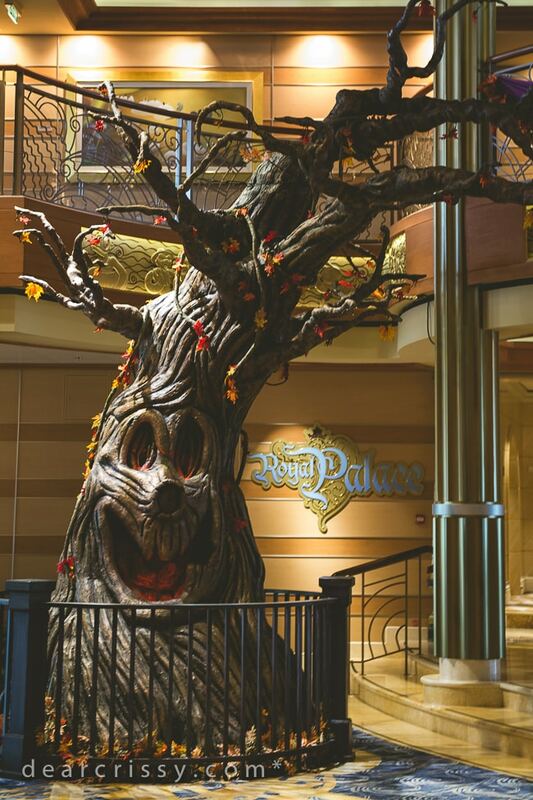 This involvement with the kids and the tree was a thread woven throughout the cruise, and as you can see, the tree really evolved by the end of the cruise! Sometimes it’s difficult for me to stay on task when I’m writing a big post like this. I don’t have a great caption for the photo below, so, I’ll just say that little Evan was full of light when this shot was taken. 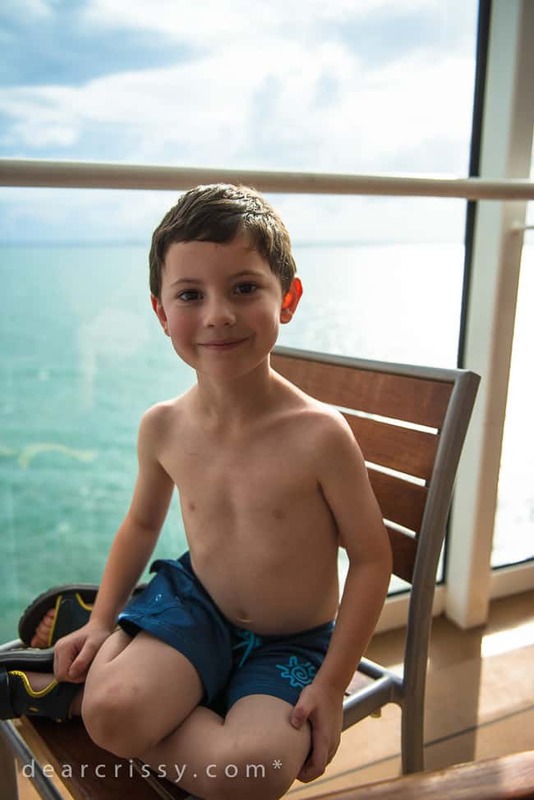 This was about an hour after we boarded the ship, and his little eyes and heart were so full of wonder. He had never seen or done anything this big—it was really special! 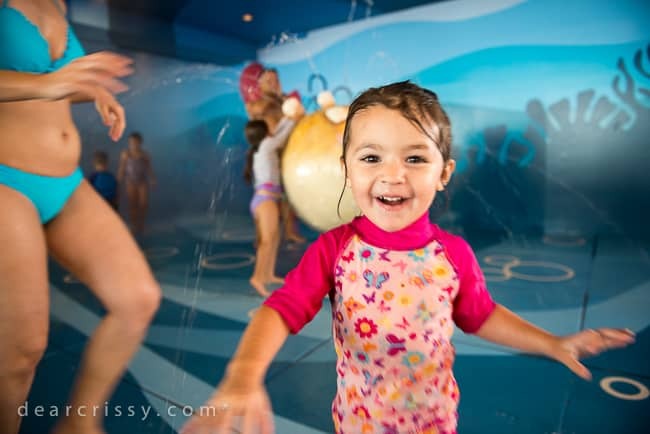 The Disney Dream has several pools for families and adults, and the AquaDuck (Disney Cruise Line’s epic water coaster), but my little ones spent most of their splash-time at Nemo’s Reef. 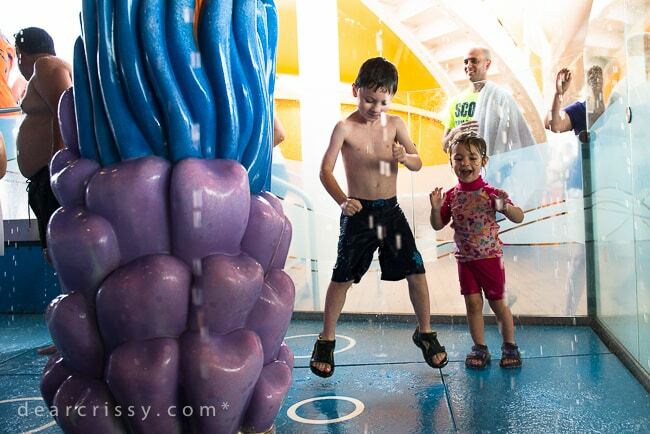 Nemo’s Reef is a splash area for kids ages 8 and under, and both kids had an absolute blast in this whimsical water play zone. I’m talking belly laughing and squealing with joy! I actually had to drag Kara out once kicking and screaming, which is the true kid-stamp of OMG I LOVE THIS DON’T EVER LET IT STOP! Honestly, the kids probably would have spent the entire cruise in this area if it were up to them. It was fun, BIG FUN! And then, Evan really loosened up and started busting some moves. The kids didn’t even realize it that first night, but, they hadn’t seen anything yet. You get such an amazing value when you book a Disney Cruise, because not only is there an almost endless abundance of fun to be had on the ship itself (plenty of swimming, games, shopping, movies, shows, character encounters) but you also have the opportunity to leave the ship each day to see new sites. Whether you’re booking an official excursion or just sight-seeing, it was so fun find ourselves in a new place after a peaceful night of sleeping and sailing. The first stop for us was Nassau, in the Bahamas. We chose to take an excursion to Blue Lagoon Island, and I’m so happy that we did! My kids are very small, so, I chose a laid back excursion. 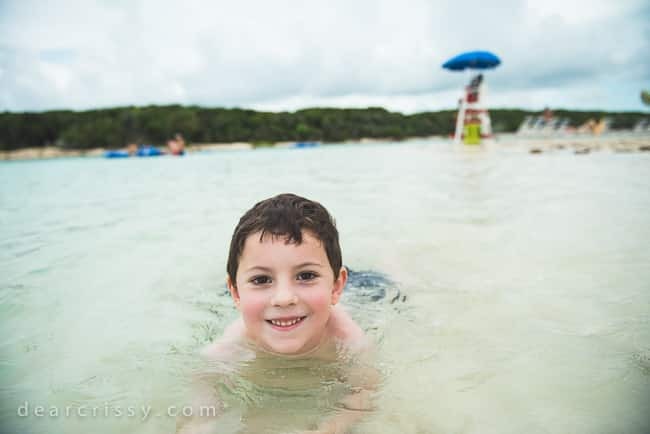 We took a short boat ride to Blue Lagoon and spent the day on a very quiet, secluded beach where the kids had time to relax and enjoy the sugary white sand and calm, clear waters. Blue Lagoon offers dolphin encounters, and while the kids are a bit small for this, we still had the chance to see dolphins up close and Kara went absolutely wild! Seriously, could these two be any cuter? I will treasure this photo for the rest of my life. It’s just one of the radiant memories I can file away in my heart when I think about our first Disney Cruise. The weather was actually a bit overcast on this day. I was worried that it would rain and ruin one of our beach days, but, it was still a perfect day in spite of just a few sprinkles. Not having intense sunshine actually made for a more relaxing day and we were able to play in the ocean for quite a long time before heading back to the ship. Our lunch was provided on Blue Lagoon as part of the excursion package. 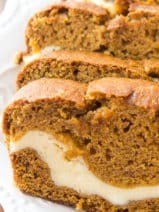 That’s one thing I really loved about the whole cruise, we never had to scout for food and always had plenty of delicious options to eat and hydrate no matter where we were. If you are considering an excursion while at Nassau and want something relaxed, I highly recommend the Blue Lagoon Beach day. The beach was lovely and not crowded. In the evenings, we all went down to the Walt Disney Theater to enjoy that night’s live show. I wasn’t sure how I would like the live shows or if the kids would sit still, but, I’m so glad that we experienced them! The atmosphere at the shows is totally relaxed, and don’t worry, your kids won’t be the only ones clapping and cheering when they see their favorite Disney characters on stage! Our favorite show was Disney’s Believe, and the kids still talk about it every day. 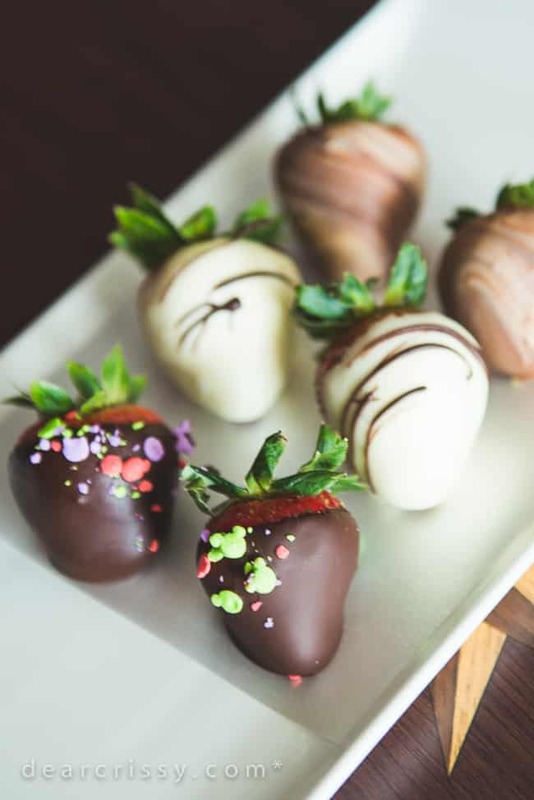 How about a random plate of chocolate covered strawberries? Surprise! You’ll find special little gifts like this in your room from time to time. 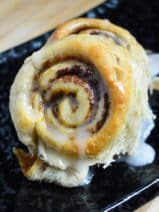 Just don’t turn your head before you grab one, because if your children are anything like mine, these sweet little chocolatey jewels will be inhaled. Who’s ready for some singing, dancing, and your favorite Disney characters all dressed up in their Halloween best? 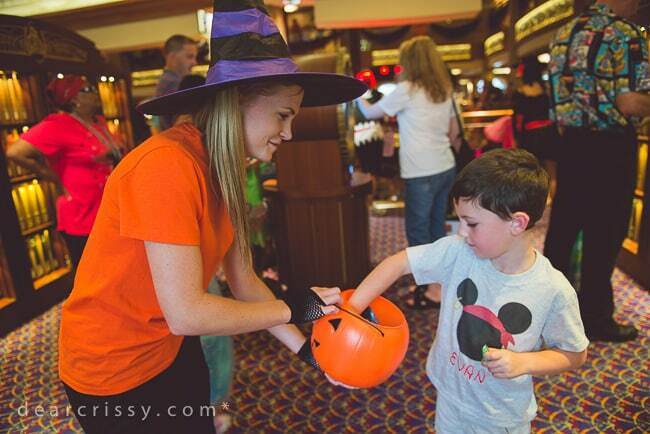 Our Halloween on the High Seas festivities included Mickey’s Mouse-querade Party! I’m just going to come right out and say that my family (myself included) are not typically the social, dance party kind of crowd, but when the lights go down (and purple), Micky and Minnie are dancing to Thriller and the candy corn is flowing, it’s going to inspire joy and hip-shaking. Trust me. 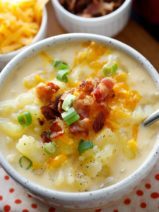 Your kids will LOVE this, and so will you! And when she told Evan, “Here, have some more,” he looked over at me and smiled. Do you know what that smile told me? Best. Vacation. Ever. If a cruise ship and the beach don’t do it, trick-or-treating a month early will! The photo below is a shot I took of our head server making Evan the most crazy-amazing paper airplane Ever, and the whole experience with the Disney Cast members were a lot like this. Every interaction was warm and pleasant and special. 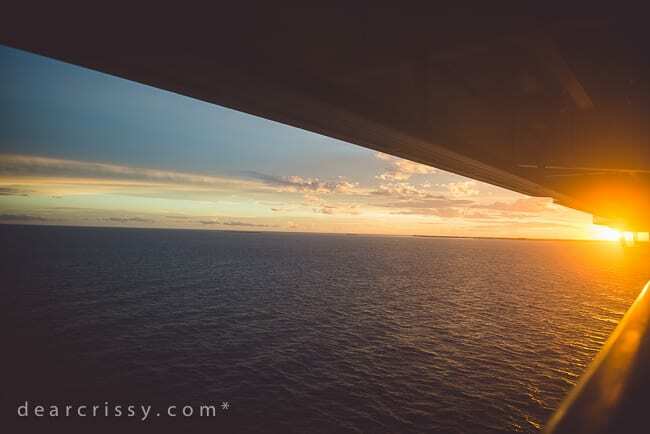 I don’t want to sound like I’m going overboard (totally shouldn’t be using that word on a cruise review, but, I’m leaving it!) 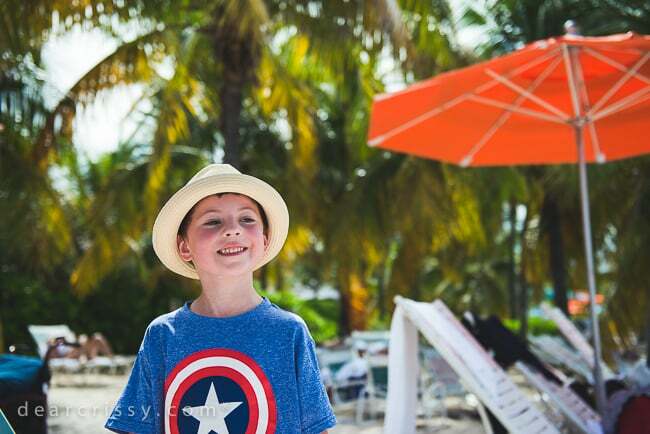 or being hokey when I say this, and I wouldn’t say it without meaning it with all my heart because I know that booking a Disney Cruise is a big investment for many families, but, it needs to be said and it is so very true. The staff (Disney Cast Members) on the Disney Dream were easily the most courteous, helpful, warm and friendly group of people I’ve ever interacted with. From our stateroom host, to our servers at dinner, to the random woman sweeping in the hall who has the misfortune of fielding my 20 questions about where this or that is located, all of them, every one, were completely sweet and eager to help. I just can’t express this enough. The customer service was impeccable. Plus, yes, the food was really good, always available and there were always menu items to please adults and kids alike. So you eat, and play, and swim, and see a show, and eat some more. You go to bed and sleep like an absolute dream because your day was so full and happy and you wake up and step out into that soft warm air, have a seat on your verandah while the kids are still curled up in bed dreaming about Mickey waffles and you see this. This, this, this a million times. You see this and you feel the enormity of the sea and the sky squeeze at your heart and you feel alive. So, a lot of my experience so far has included the kids. 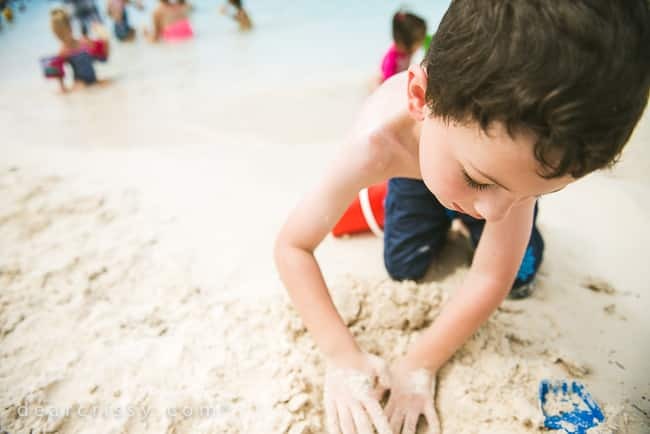 My kids are sort of attached to me at the hip, but, Disney Cruise Line has some incredible offerings just for kids, which will also free-up parents for some personal time aboard the ship. 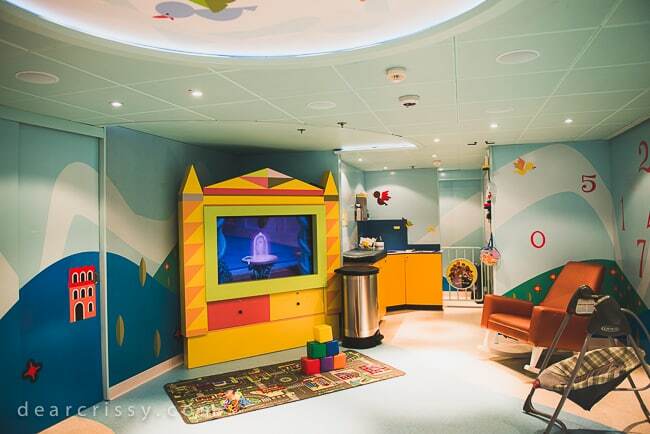 I had the chance to tour the infant, youth and teen areas of the ship and was very impressed. Starting with the It’s a Small World Nursery, which was very clean, organized and secure. I particularly loved the Disney’s Oceaneer’s Club and Oceaneer’s Lab for kids ages 3-12. Again, this kids club area is clean (it even has innovative hand-washing stations as children enter and exit) and secure, with so many great areas for kids of all ages to play, explore and even learn. Seriously, what kid would not want to hang out here? 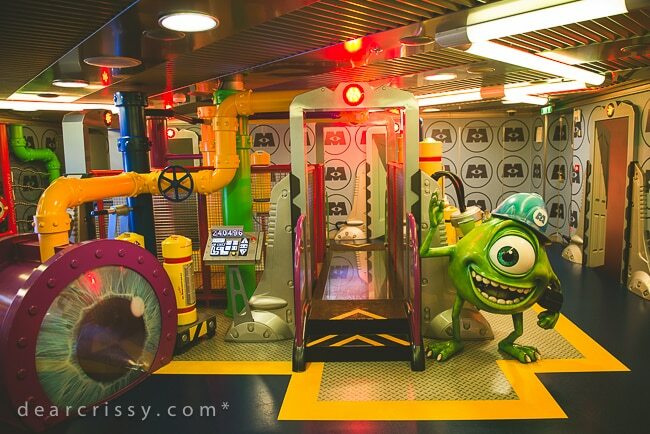 It’s like something you see in a movie—the ultimate play area for kids. 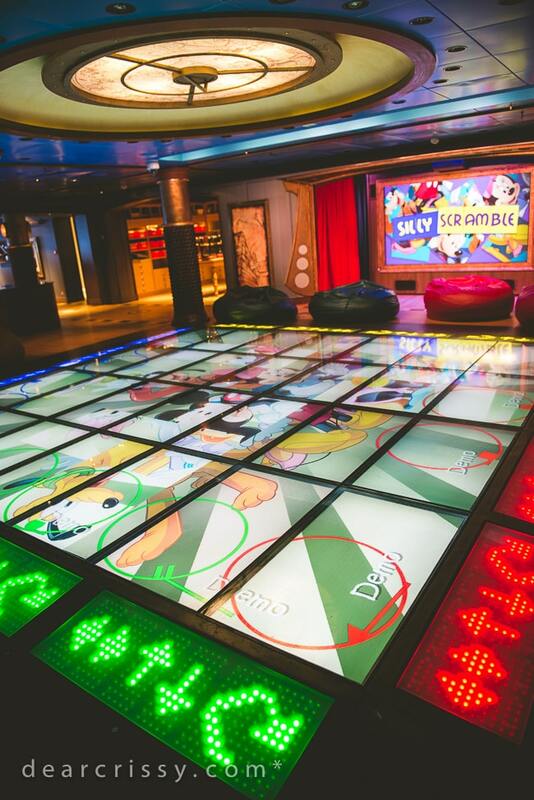 An interactive game on the floor, really? This place was so cool. 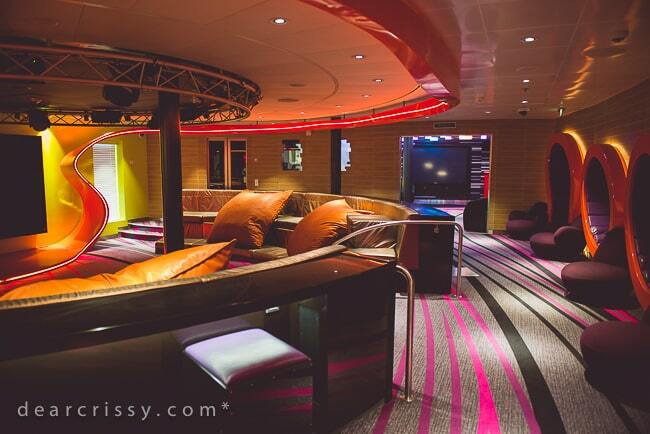 I also had a chance to tour the two teen-only lounges on the ship, Vibe and Edge. Vibe was really one of my favorite spaces on the ship. I would have been in heaven hanging out in club like this when I was a teen. 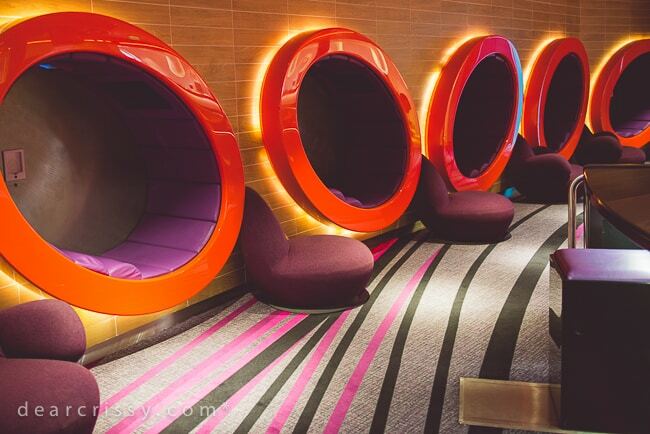 I am loving the lounge-pods along the wall that have gaming systems built right in. Don’t worry, Mom and Dad, kids are highly supervised in this area and there is a strict no-touching policy that staff ensured us is very strictly enforced. So, you don’t have children, is a Disney Cruise still for you? In my opinion, the answer is yes. 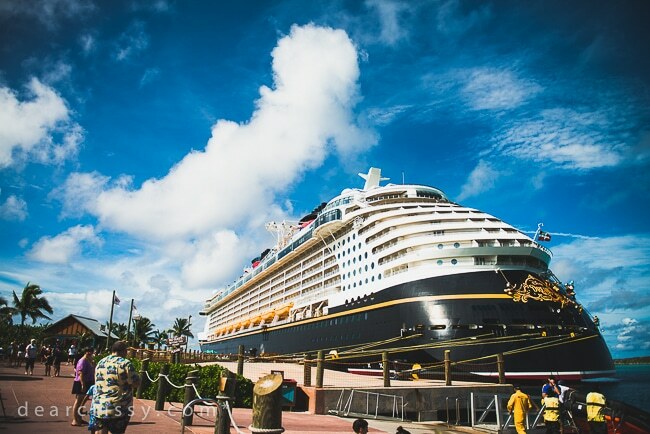 I wouldn’t hesitate taking a Disney Cruise with my husband, and you’ll be happy to know that there are actually many areas of the ship designated for adults only. 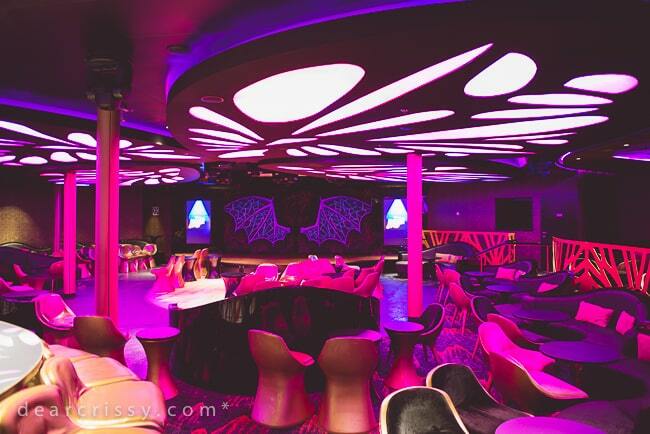 In fact, the entire District area of the ship has several nightclubs and lounges that are worth checking out. I really felt like I had been transported to another world when I entered Evolution, pictured below. Skyline, pictured below, is a sophisticated cocktail bar that also really caught my fancy. 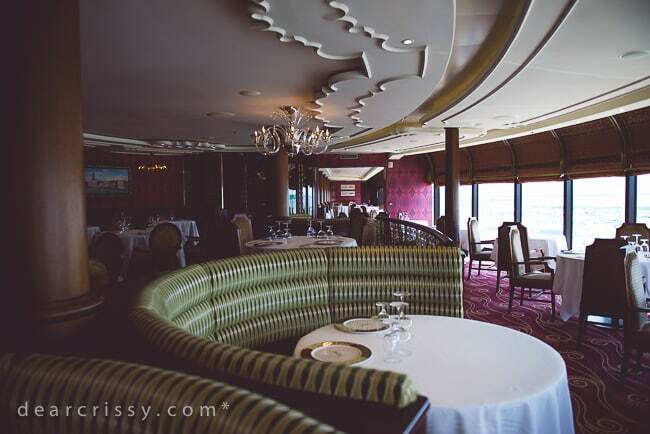 Remy and Palo are the Disney Dream’s two adult exclusive fine dining choices, both feature stunning decor and romantic atmosphere. 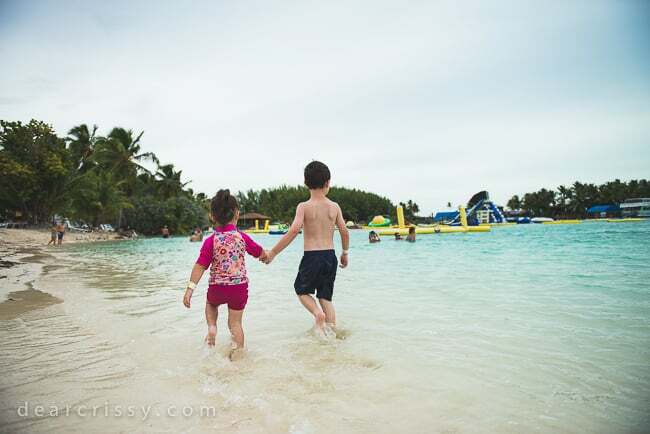 Okay, as much as I’d love to take a cruise with hubby and really relish more in those adult-oriented activities, let’s get back to my two sweet little chipmunks and beach day number two which was at the picturesque Castaway Cay, Disney’s own private island! 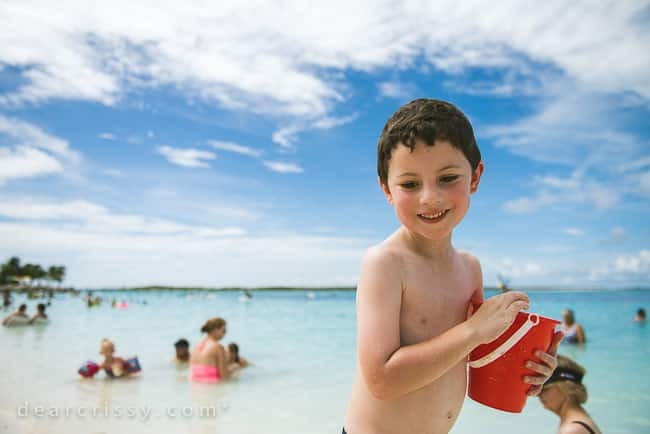 The weather was PERFECT on this day, and the beach at Castaway Cay is easily one of the most gorgeous beaches I’ve ever laid eyes on. The kids were pumped on this day, ready to build sandcastles and enjoy that crystal clear water. B L I S S.
I would live here if I could. Interestingly enough, about 100 Disney Cast members do live and work on Castaway Cay! The beach was perfect and there were lots of places to have a delicious lunch, again, which is included as part of your Disney Cruise. 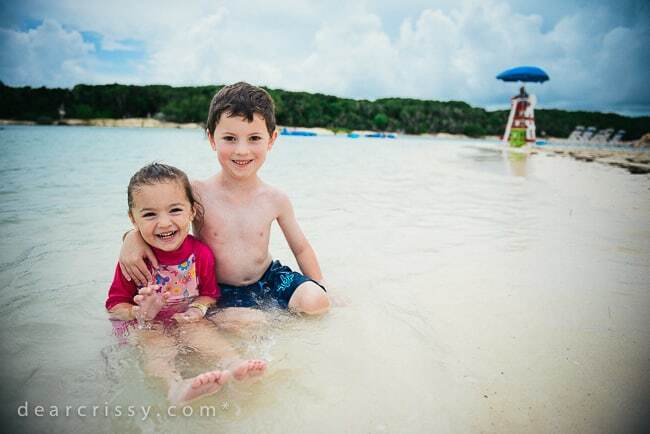 Again, my children are small so we hung out by the water, but there are plenty of adventures to be had while you’re on Castaway Cay, including snorkeling and parasailing! I tried to get Evan and Kara to look at me while I was taking their photos, but, they were down to business. Important business. Sands, and seashells, and screaming like crazy-people when a little tropical fish grazed their ankles and then running back into the surf to do it all again. I’ve mentioned BLISS and Best. Vacation. Ever. I’m sure I missed so many things, but, what I want to convey here is that the value of a Disney Cruise is really in the details. Yes, there are broad strokes that will blow your mind. The ship itself, the ports of call, the sea and the sights and the shows and the dining. But you’ll also fall in love with the small moments. The chocolates left on your bed, the towel creatures, running into Peter Pan in the elevator, your server globbing ketchup on the kids’ plates in the shape of Mickey ears, not having to worry about ANYTHING, amazing customer service, not having to clean, not having do drive around looking for a good place to eat, every single Disney Cast member you pass referring to your daughter as, “Princess,” and her beaming a megawatt smile and your heart exploding because this is probably one of the best times you will ever have with your kids. And because I want to wrap all of this up on a note that might help a few of you decide if that little spark in the back (or front) of your mind about a Disney Cruise should be given room to shine, here are a few more things I want to tell you. 1. Transport from the airport to the ship was easy and seamless. 2. Boarding the ship was a breeze, totally painless. 3. The room was amazing and super clean. 4. I DID NOT GET SEASICK, and I am Queen Nausea and I was FINE. 5. Repeat, Queen Nausea did not get seasick! 6. Would I do this again (and pay for everything myself)? Yes, yes, YES. 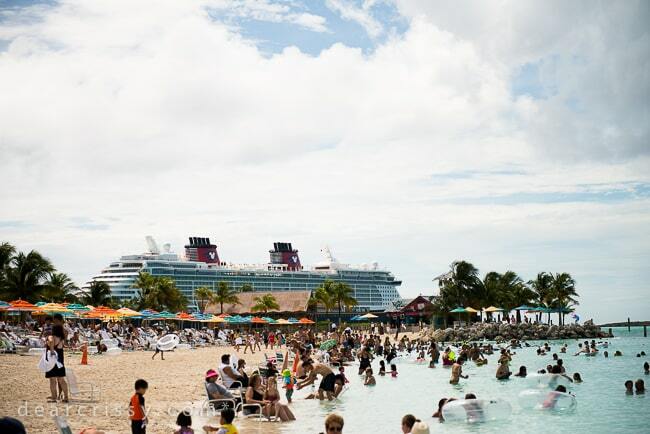 Have you taken a Disney Cruise? Tell me about it! If you haven’t taken one, is it a goal? Crissy, your instagrams were so fun to follow and this post, fantastic!! Curtis really wants to go on a Disney cruise someday soon! I’m so glad you mentioned the seasickness part and you not having a problem! <3 <3 the photos of your kidlets! I love the decorations. LOVE them. ALLLLL. We are planning on Disney World next year and it will be our first. I’m excited. My kids have been begging me forever to take them on a cruise like this! Your photos helped me decide that its something we must do! Thank you! So happy for you and your family, it looked like you had an unforgettable time! You did it – you captured the magic. I am so happy you did too because I believe everyone should take their children on a Disney cruise. It was our favorite family vacation ever!!! GREAT JOB and BOY WHAT A TRIP! Oh your photos make me want to hop on a Disney ship right,this.minute. WE have been on a few cruises as a family but never Disney. Honestly, I fear once we make the investment we’ll never go back to another cruise line again. The experience truly seems unbeatable. Crissy! What a fantastic post! I am not a cruise fan, but we have discussed taking a Disney Cruise once Caroline is old enough to go to the Oceaneer’s Clubs. After reading your post, I WANT TO GO TODAY! No waiting! I love all the details you shared and all the emotions that exploded through your words. So fun to read! GORGEOUS photos! And I loved reading this fantastic recap. Disney Cruise seriously really is a DREAM isn’t it? Our favorite way to vacation for sure!!!! 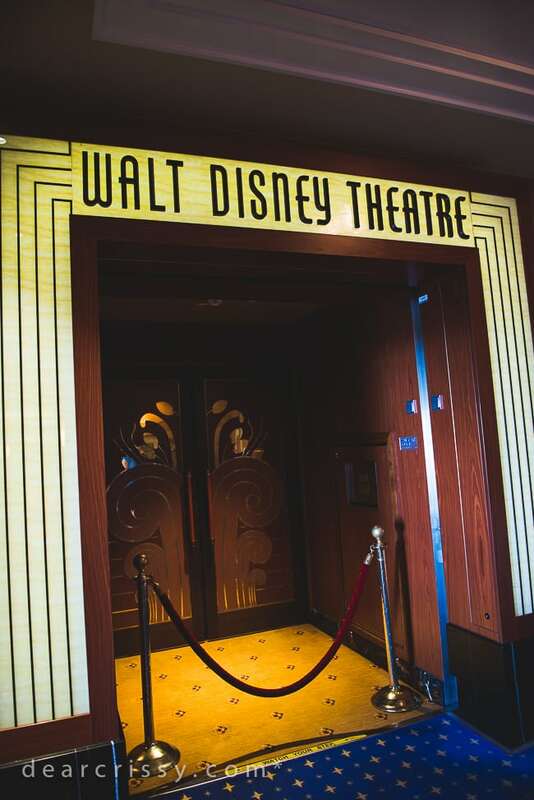 We were on the disney dream from September 18-21, and agree with everything you said. We cannot wait to go on another!! 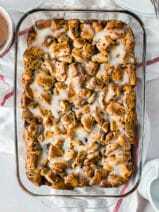 And oh my the food, we never went hungry! Oh my gosh, what an incredible experience! Your photos are AMAZING! I want to go so badly now! What phenomenal photos! You clearly had an amazing time. 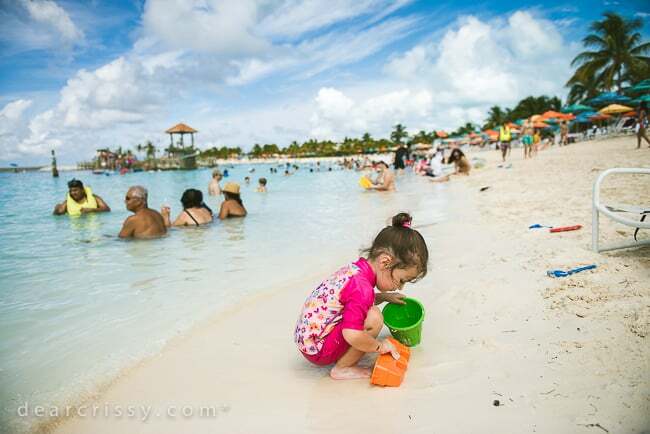 Disney Cruise is such a perfect vacation for families with kids. We also had the best time and tell everyone what a great option it is for families. I shared this post on Facebook because I think your photos are simply stunning! Each picture was better than the last! I can’t believe how big your children have gotten! I would love to take my family on a Disney Cruise one day. Our main issue with taking a cruise is that we have a family of 5. For some reason, cruise companies never seem to consider that some families are more than 4!! I love that Disney has options for us! We keep meaning to plan a Disney Cruise and I think this post just puts it over the top for me — must figure out a date!! Wow, it looks like you guys had a blast and the ship is absolutely gorgeous inside! Ok you’ve got me REALLY wanting to book a Disney cruise. I was hesitant because I’ve never been on a cruise before. It looks like you all had a vacation to remember! I’m glad to hear you didn’t get seasick. That was one of my worries. That and the size of the guestrooms, but it looks like they are roomy! I cannot begin to tell you how thrilled I am that you loved every single second. 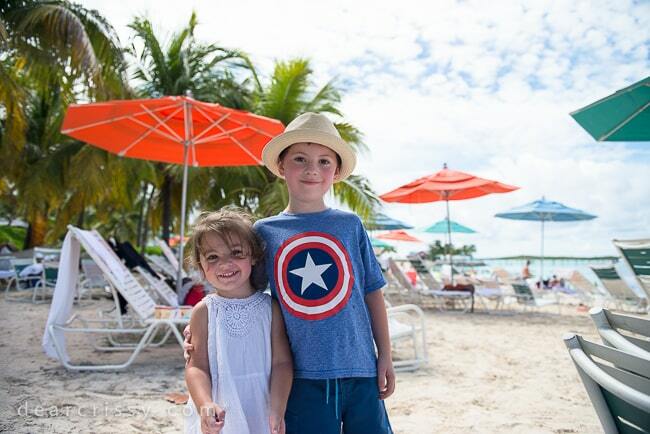 We have been on two Disney Cruises – both that we did on our own and we would do it again and again. 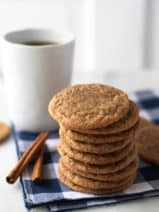 As I read your post, I found myself nodding – yes, yes, yes, Bliss, Bliss, Bliss – it IS, isn’t it? You assume it will be magical, because DISNEY, but then it exceeds every expectation you have – the food, the accommodations, the kind staff, the beauty of the excursions and places you visit, the ship itself. I honestly cannot wait until we can go again – and I can tell from your post that you feel exactly the same way. Your pictures are stunning and the joy on Evan and Kara’s faces – so PERFECT. We are working on planning a cruise to Alaska for next Summer and I have been considering the Disney cruise lines. 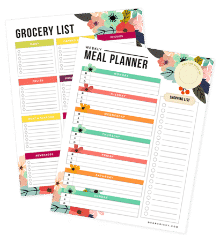 I don’t have kids but some of the more colorful and family oriented aspects still appear to me, especially the dining options. I went on a Disney cruise to the Bahamas when I was high school, I would love to take my kids on it now. What a cool experience. OH. MY. GOODNESS, Crissy! You have done an absolutely excellent job with this post–completely covered any and all of my millions of questions with candor and honestly. THANK YOU. I am the one in my family pushing for a Disney cruise, but my husband says like he’ll feel claustrophobic, feel stuck, and feel tired of being in the same place for several days in a row. Your post tells me otherwise. Can it really, truly be as awesome as you say? It looks like an absolute DREAM. Now? Convincing him that a Disney cruise is the way to go for our family. I’m betting my 10, 9, and 7 year old will be game. . . but him? Maybe after I show him your post! Oh Crissy! I’m so excited that you were able to experience this with your children. My husband and I have been talking about a Cruise for some time and hope to bring our children on one, some day. The details that you have captured are amazing, it really sounds like a vacation of a lifetime. Thank you for sharing the trip with us! This post makes me so happy! I love that you had such an amazing and wonderful time on the Disney Cruise. Your photos are beyond amazing! We have never done a Disney Cruise and now I really want to book one. We have done 11 cruises and love cruising as much as we can. 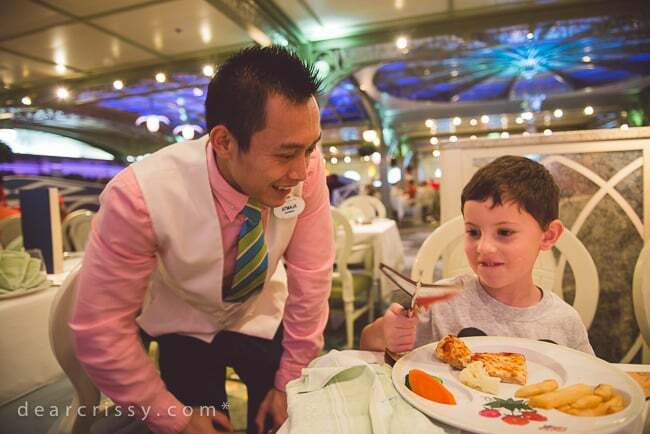 A Disney Cruise looks perfect for families and really anyone. The chandelier in the lobby is gorgeous! I have never seen anything like it on the ships we have been on. I am so truly happy that you and your kids loved the cruise and it meant so much to you! I’m jealous, how come you didn’t take me! Looks like you guys has a blast. Totally GORGEOUS photos! Looks like an amazing trip! Oh Crissy – this looks like SO much fun!! Your photos are GORGEOUS! We are HUGE Disney fans, but have never done a cruise. I know our boys would love this! It’s on our bucket list! I can’t express how long I have wanted to go on a Disney cruise and this post made me long for that experience even more. What a lovely, lovely experience for your family. Thank you for sharing so many wonderful glimpses into the cruise. Magical bliss indeed. I was so excited for you to go on this cruise because I couldn’t wait to see your fantastic photos. It looks like you had a wonderful time. We celebrated my 40th birthday on the Dream earlier this year and I agree with your review. 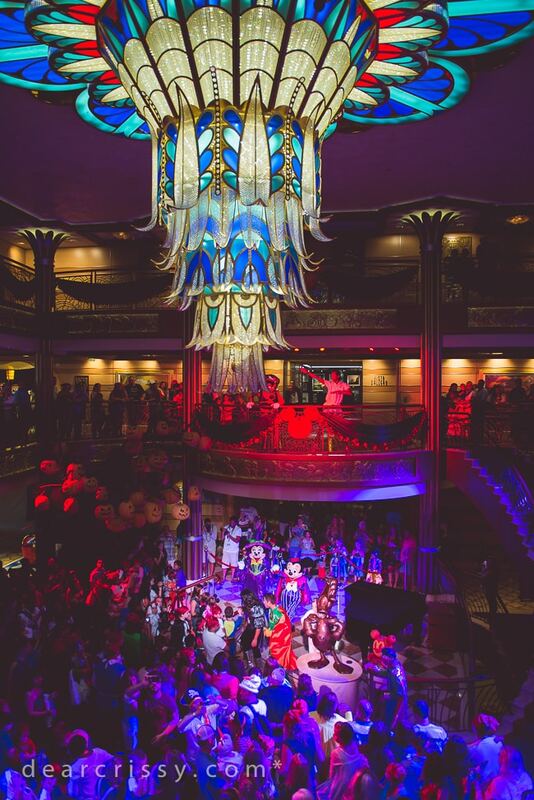 Next year, I’d love to do one of these Halloween cruises – the kids would love it! !